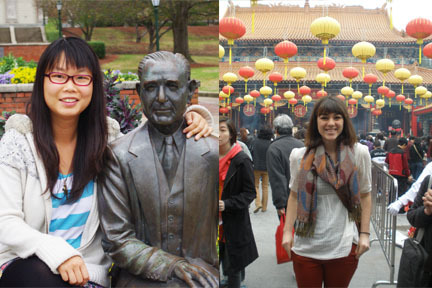 Hong Kong Baptist University (HKBU) student Yip Ting Yan “Lancy” and Samford student Whitney Anderson traded places: Lancy went to study at Samford for the year, and Whitney spent the spring semester at HKBU. Both students quickly found new meaning to their “college experience,” realizing that it is most enhanced by studying abroad and experiencing new cultures. Lancy decided to study at Samford after hearing that it was a good Christian school with an exchange program. “I prayed about schools on a list that I made, and I ended up choosing Samford,” Lancy said. Meanwhile, Whitney, a junior communication studies major, headed to HKBU for the semester, anticipating an exciting change. “I wanted to so something outside of Samford, and my friends Kley Sippel and Craig Thiessen had studied in Hong Kong before,” Whitney said. 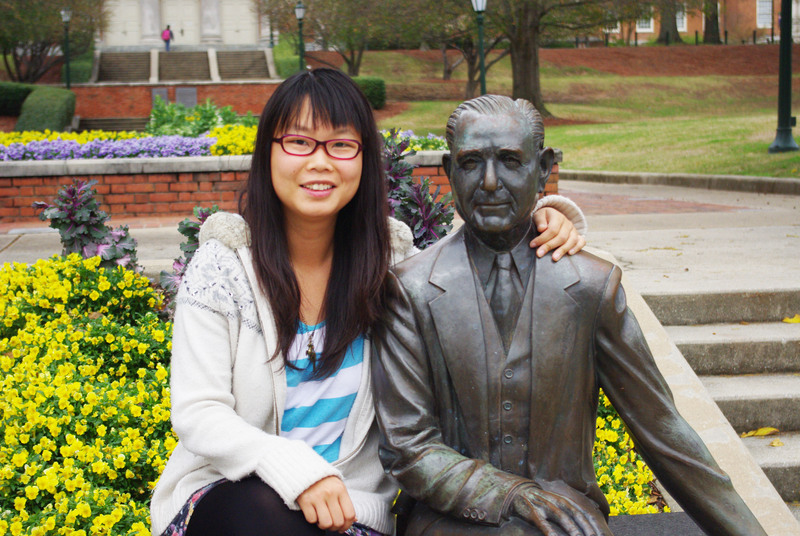 Lancy loved studying at Samford because of the community and the people. 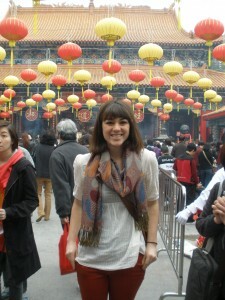 However, she experienced a lot of culture shock. She said Americans and people from Hong Kong are different in lifestyle, mindset and habits. Whitney said she wanted to study abroad and get out of her comfort zone. She was the only Samford student in Hong Kong in the spring, but she saw the program as a good opportunity for her to meet new people from all over the world. 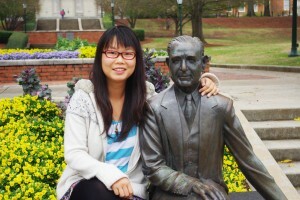 Lancy said she missed her friends and classmates from Hong Kong but that people at Samford were very nice and welcoming. Another big change for her was with the work environment at Samford, which was a lot different than at HKBU. At HKBU, Lancy did random work as a private tutor for secondary school students and as a tour guide for students travelling overseas. She also worked in the Food Court at Samford, and she said it was difficult in the beginning, but it got easier and was helpful to her. Lancy was not a big fan of the food at Samford, especially since she was not used to having a meal plan and eating in the cafeteria. Whitney said that the food was cheaper in Hong Kong. Since HKBU did not have meal plans, she sometimes ate in the dining hall, but she said it was hard to find foods that she liked. Lancy is double majoring in Chinese medicine and biomedical science, which is a five-year program. She will go back to HKBU for the fall semester to finish her final year. She dreams of starting a clinic in Kenya one day. The United States was not the first of Lancy’s travels. She has been to Kenya, Indonesia, Cambodia, Malaysia, Australia, Taiwan and China. Additionally, she traveled around the United States, Canada and Costa Rica just this year. Whitney traveled to the Philippines, Thailand, Bali, Malaysia, Vietnam, Cambodia and mainland China over the course of the semester. The language barrier made it a little difficult to talk to students and hangout with them, and said she missed the familiarity of Samford. “Doing simple things like ordering food and asking for directions has been difficult,” she said. “Even though they speak English, you still have to listen to their accents.” But she really enjoyed hanging out with the other international exchange students. If someone from HKBU were to ask her about Samford, Lancy would tell them that her experience at Samford was good and she learned a lot being in the United States. “They are not crazy Americans,” she said. “But don’t be late for class.” Apparently, in Hong Kong, it is alright to be a little late for class because traveling is more difficult, as they rely much more on public transportation. Lancy also mentioned that in Hong Kong, people did not speak up in class as much, and there are more lectures. “Here, students speak in class more, and there are more discussions and group projects,” she said. Hong Kong used to be British-owned, so everyone knows English, but they still speak Cantonese, though the classes are taught in English. Classes in Hong Kong include more lectures and then smaller sessions later in the week called tutorials. Lancy said that even though they take classes in English in Hong Kong, the English spoken in Hong Kong is a lot simpler, so there was a lot to learn by being in classes at Samford and speaking English with Americans. The community at HKBU was similar to at Samford, Whitney said. Whitney loved going out and exploring and seeing different parts of Hong Kong, as well as hiking up Lion’s Head Rock, a mountain right behind the city. Whitney also got to experience the Chinese New Year fireworks show in Hong Kong, while Lancy experienced trick-or-treating on Halloween, dressed up for Christmas, learned several new dances. Lancy said going back to Hong Kong will be bittersweet. “I feel so strange because it feels like I just adapted to it here, and I have some really good friends here that I can share the life with,” she said. 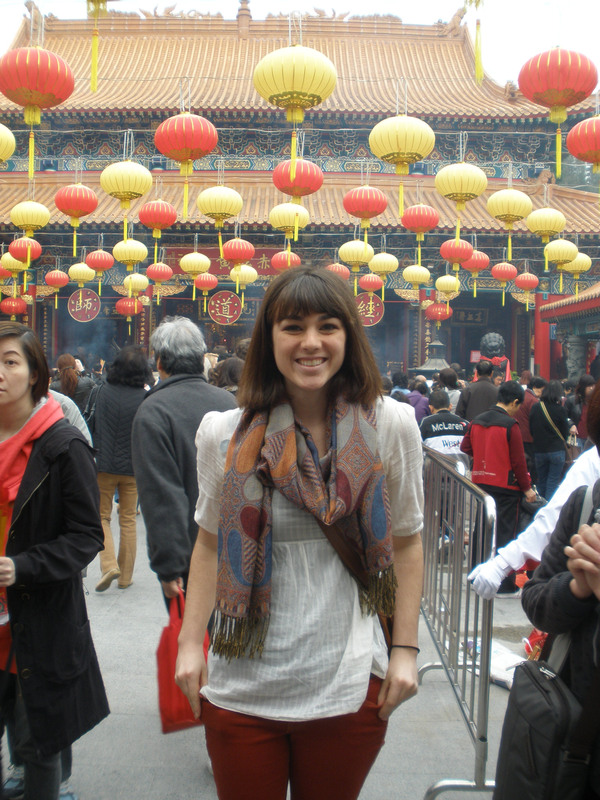 Like Lancy’s experience at Samford, for Whitney, studying in Hong Kong has been Whitney’s favorite college experience.